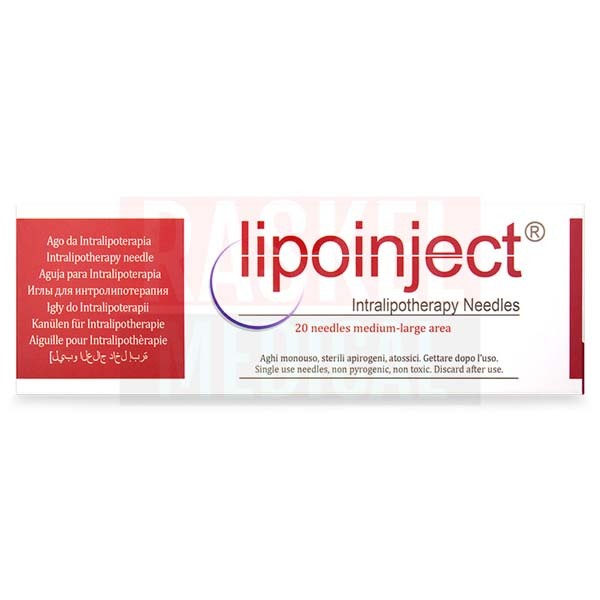 Lipoinject is an intralipotherapy needle used to administer fat-dissolving solution. They are used to inject deoxycholic acid solution into the adipose tissue through a simple, painless process. The needles come in two sizes. 24G/100mm is for a medium-to-large area while 25G/70mm is suitable for injection to a small area. 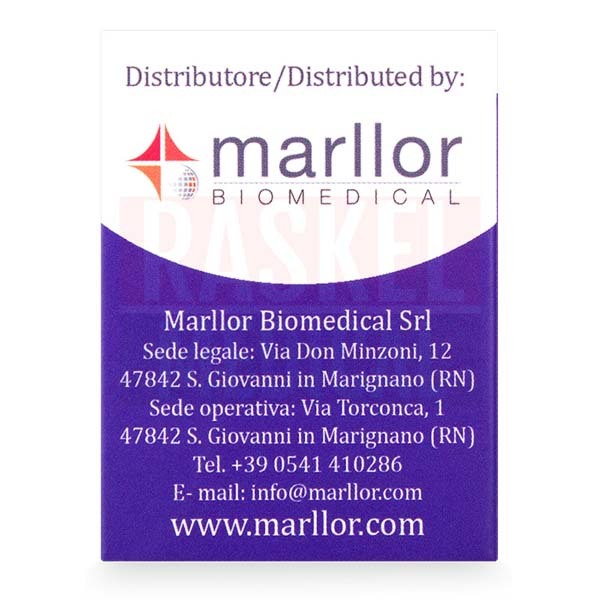 Lipoinject needles are produced in Italy by Marllor Biomedical. 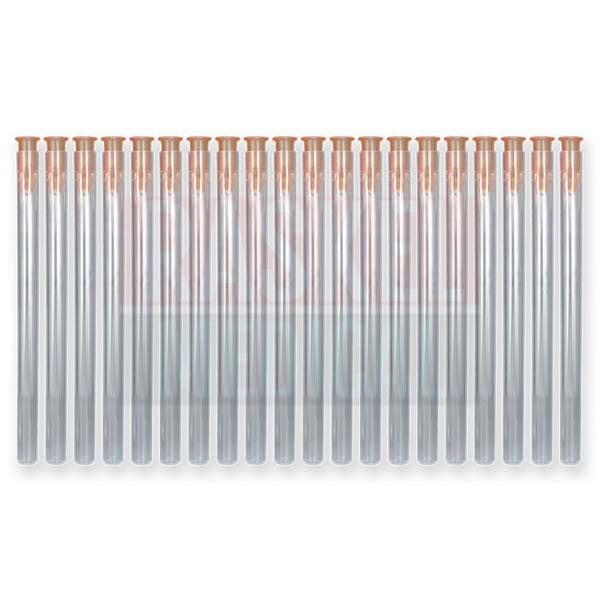 Manufactured using steel, the intralipotherapy needle is stored in a sealed, sterile packaging. Each box contains 20 needles. Lipoinject is mainly used to administer fat-dissolving solution for fat removal. Fat removal treatment dissolves the excess lipid deposited in areas like thighs, chin and stomach. Thanks to its innovative design, the intralipotherapy needle can penetrate deeply into the adipose tissue to deliver fat-dissolving solution to its site of action. The fat dissolving solution (often consist of deoxycholic acid) will distribute evenly throughout the tissue and disrupt the fat cells membrane. Once exposed to ultrasound, the fat cells will rupture, eliminating excess lipids via lymphatic excretion. The needles are carefully designed with optimal thinness and strength, making fat removal injections virtually painless. 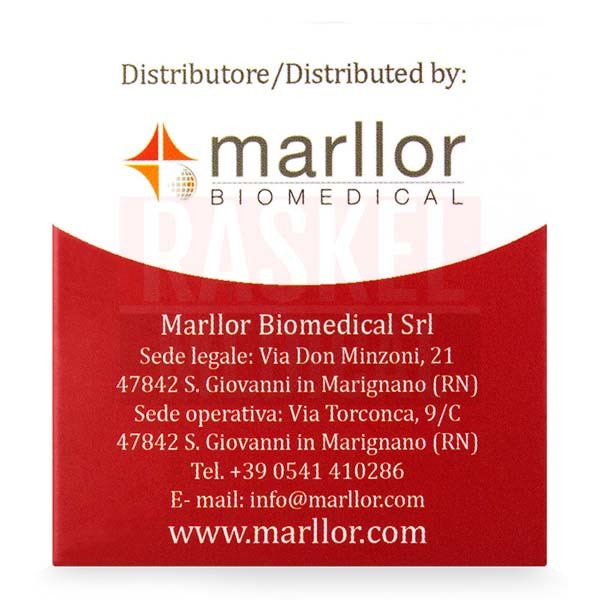 Lipoinject needle is developed by Italy-based Marllor Biomedical. Through its innovative research, Marllor Biomedical has been a pioneer in the medical and aesthetic medicine fields. 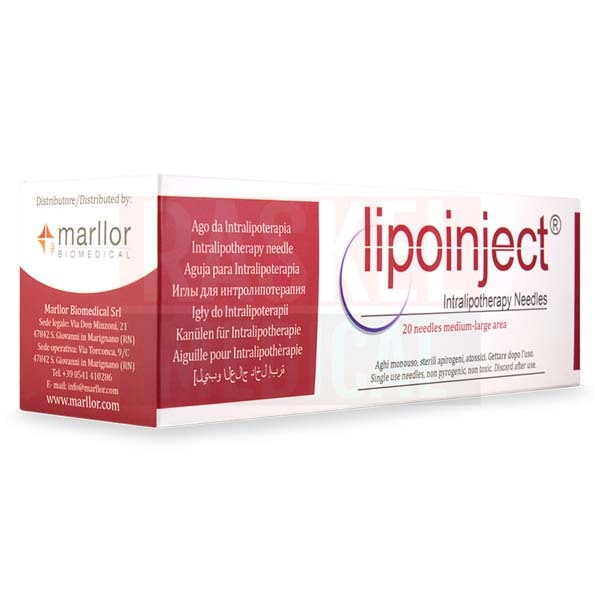 Lipoinject is produced by Marllor Biomedical, an Italy-based company that specialized in aesthetic medicine. 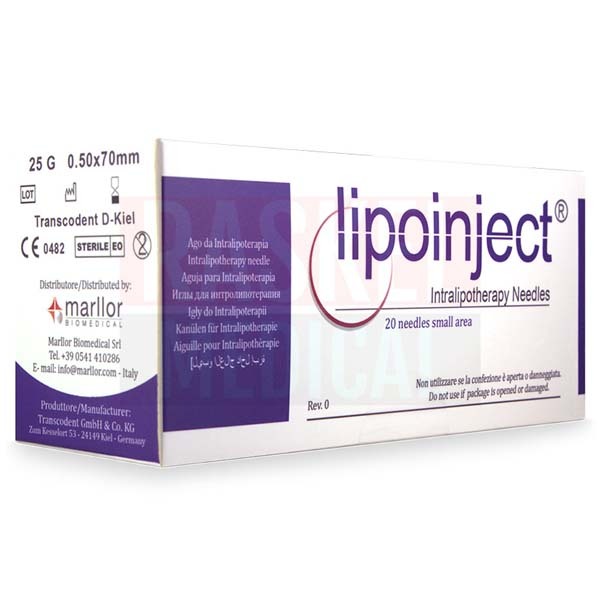 Lipoinject is non-toxic and non-pyrogenic, providing the safest injection experience for patients. However, in rare events, the needles may result in undesired effects like injection site erythema, swelling and pain. As with all injection procedures, the needles are associated with a small risk of infection. There are two variations for Lipoinject fat-dissolving injection needle, namely Lipoinject Medium-Large Area and Small Area, both of which target treatment areas of different sizes. They are manufactured with different sizes (24G/100mm and 25G/70mm, respectively). The needles are made of steel and stored in sterile packaging. This ensures the safety of fat removal injections. Prior to injection, select an appropriate needle size based on the treatment area and disinfect the treatment area using an antiseptic. Then remove the needle from its sterile packaging and attach the needle to syringe. Draw an appropriate amount of fat-dissolving solution. To avoid presence of air bubbles in the syringe, press the plunger until a tiny drop of solution is seen. Inject the fat-dissolving solution into the adipose tissues, then use an ultrasound to destroy fat cells and release the lipids. Discard used needles and do not reuse them, as they are designed for one-time use only. The Lipoinject needles are made of steel. The design of the needles are carefully considered to provide a comfortable injection experience. The strength and thinness of the needles are optimized so that the needle can penetrate deep into the adipose tissue, effectively delivering fat-dissolving solution to the site of action. Thanks to the innovative needle design, the injection process is virtually painless. Lipoinject Medium-Large Area and Small Area are designed with different strengths, making them ideal for treatment areas of different sizes. Furthermore, the needles are sealed in a sterile packaging and proven to be non-pyrogenic and non-toxic. This adds to the safety of the fat removal injections. 20 Lipoinject needles and the package insert. The results of intralipotherapy are permanent as long as the patient does not gain additional weight. Lipoinject needles should be kept in their original packaging, which is sealed and sterile. The needles should not be used if the packaging has been tampered with, as the needles are no longer sterile and may not be safe to use. As a general rule, the packaging should always be kept in a clean and secure place. The packaging should also be stored in a well-ventilated and dry area to prevent mold from growing. This also prevents the condensation of active ingredients. Proper storage will keep the sterility of the needles, ensuring the safety of fat removal injections. 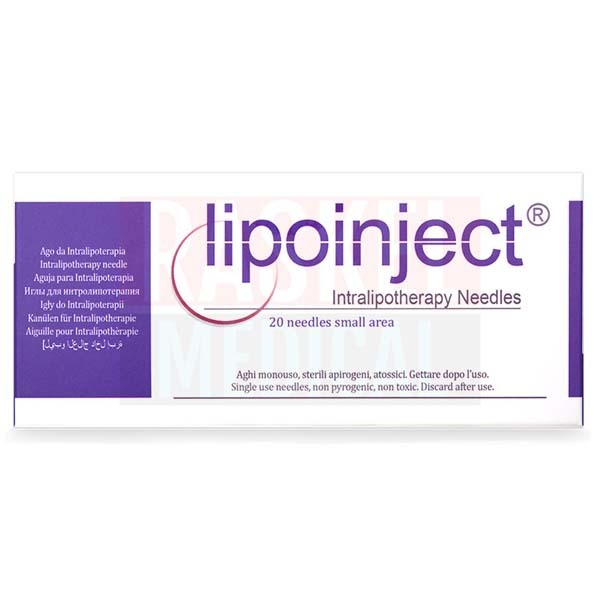 To increase its shelf life, Lipoinject intralipotherapy needles should not be removed from its sterile packaging. 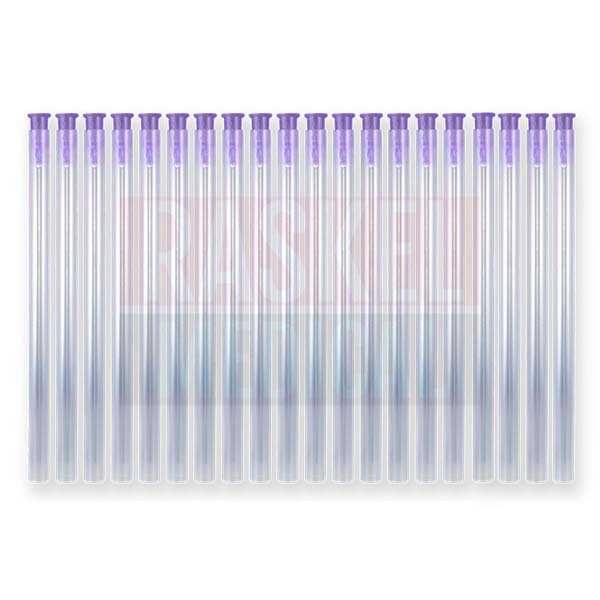 Failure to comply with storage conditions may compromise the packaging of the needle, resulting in the loss of sterility before expiration date.